Greene King - Abbot Ale 5.00 Why can't other local 'Spoon's keep their Abbot as well as here? Exmoor - Beast 6.60 Forgot it was 6.6% when I ordered, great nightcap winter beer though, albeit on the warmest February day on record! Evening visit until midnight close. Worth the trip for the best 'Spoon's locally for consistent beer quality. 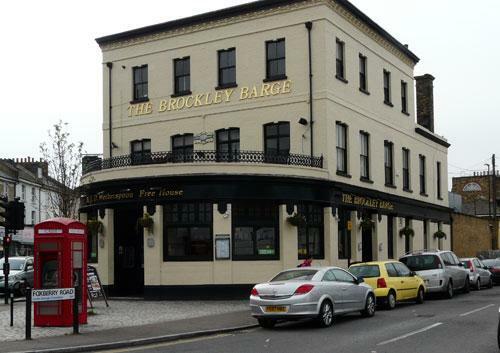 The pub is found in Brockley, Greater London, SE4 2RR. Formerly Breakspear Arms until closed in 1994. 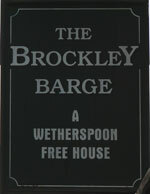 Re-opened by Wetherspoon in October 2000. Wedge shaped on a large prominent corner spot. Usual Wetherspoon features but all on the one ground floor location. 10 handpumps in 2 banks, each of 5. We have visited this pub 26 times, seen 97 different beers and tried 40 of them.